The Academy Awards also known as the Oscars was hosted by Comedian Jimmy Kimmel. The evening was filled with excitement. The year 2016 was a historically big win for the movies. Viola Davis won for best supporting actress for the film “Fences” which makes her the first black star to win a Tony, Emmy, and an Oscar for her acting. 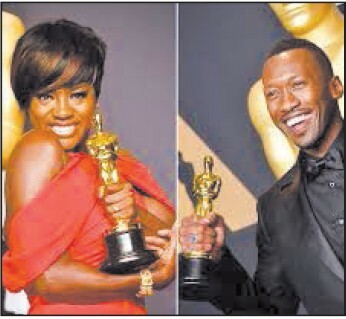 Mahershala Ali won for best supporting actor in the movie “Moonlight.” Moonlight won three awards, including Best Picture. La La Land won the most awards of the ceremony with six after receiving a record-tying 14 nominations. Warren Beatty, along with Faye Dunaway, presented the final award of the night for “Best Picture”. Mr. Beatty opened the envelope and, after some hesitation, handed it to Ms. Dunaway. She said that “La La Land,” about young California dreamers, was the winner. The crowd erupted in applause, and the “La La Land” team rushed the stage. La La Land was incorrectly announced as the Best Picture, before Moonlight was announced as the actual winner. PricewaterhouseCoopers stated they take “full responsibility” for the mistakes and “breaches of established protocols” that led to one of the infamous gaffes in Oscar history. tomarme un espacio para adivinarlas. Ten por fiable que seguiré todas tus difusiones. Te doy la enhorabuena por tu espacio web. Un devoto saludo.